Forget the middleman: more companies are going straight to consumers with online brands. As they gain traction online, many of these companies are even making the jump to physical retail stores, often with great success. Think about luggage and lifestyle brand Away (reached profitability in under two years), subscription based razor company Dollar Shave Club (sold to Unilever for one billion dollars), or Casper (100 million dollar company in under two years) who is upending the mattress industry. With a focus on convenient services, incredible content that caters to millennials, and personalized customer experiences these companies are growing incredibly fast. The direct-to-consumer model goes against a lot of traditional retail expectations. Instead of trying to get space in a larger retail store, companies now start online. With targeted marketing and the help of social media, it’s possible to gain a large following. D2C companies are in total control of the messaging and customer experience. Instead of leaving things in the hands of other retailers, they can customize the experience to accurately reflect the brand. For consumers, one of the biggest draws to direct companies is the convenience. 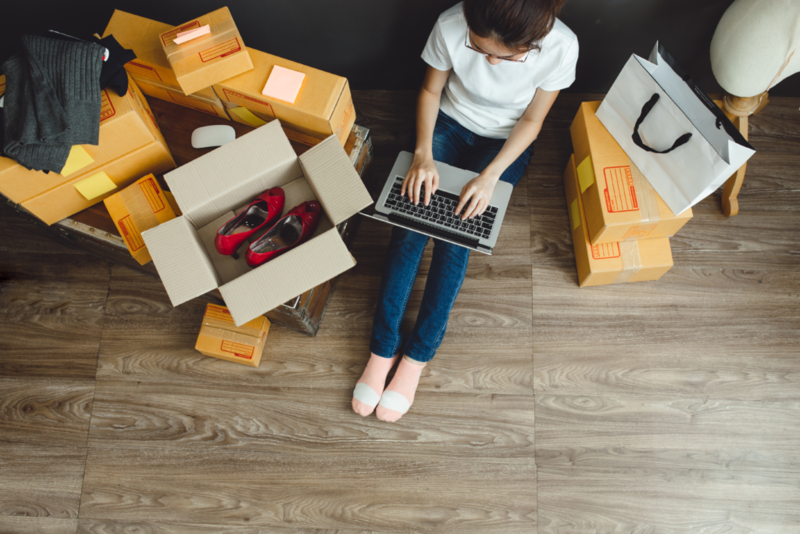 Instead of having to sort through dozens of products in a store or on a large retail site, customers can find exactly what they want and have it delivered to their homes. D2C brands that have successfully crossed over to physical stores build on that convenience by giving customers a chance to try the products before they make a purchase. Consider the example of Allbirds. Look around any major city and you’re sure to see people wearing Allbirds’ wool shoes. The company started online and quickly gained popularity with its innovative and sustainable shoes. Allbirds still does a big business online, but it also has physical stores in San Francisco, New York and London and plans to open a store in Seattle and many other cities in 2019. Brick-and-mortar stores work well for shoes because customers can try them on and experience the comfort. Even with a popular product, there’s still an unknown of buying shoes online. Allbirds stores showcase the entire line of shoes and unique laces to create a convenient and enjoyable shopping experience. Even bigger brands are jumping on the bandwagon. Nike has expanded its brand to tap into some common D2C practices. Instead of relying on customers to buy Nike products online or at Nike standalone stores, the company has made an offensive push to get products to consumers. Nike stores in Los Angeles offer curb-side pickup, and other stores have vending machines full of Nike socks. Customers are more willing to buy things when they’re convenient and fun. Another reason for the popularity of D2C companies is that modern customers want an experience. They want more than just a sales pitch—they want to see the lifestyle that comes with the brand. Controlling the messaging and selling directly to consumers online allows brands to build their own experience instead of getting lost in the sea of products at big-box stores. Those experiences transfer to D2C brick-and-mortar stores. Beauty brand Glossier is known for its creative products and packaging. The company has a distinct aesthetic: everything is sleek and pink. Customers flock to the brand’s website and Instagram to see the products in action. Glossier products are hot commodities and sell out quickly. It’s even more amazing when you think that most beauty customers want to try the product first. But by creating a strong point of view and an experience that customers want to join, products are flying off the (virtual) shelves. Glossier recently opened its flagship store in Los Angeles and followed it up with a store in New York. Just like the website and social media accounts, Glossier stores are experiences. The modern, pink aesthetic is strong, and customers can try on products at communal tables. Employees are there to give tips and help customers with checkout via iPad. Like shopping the brand online, visiting the physical Glossier store is a unique experience. Even with the growth of online shopping, brick-and-mortar stores aren’t dead. Successful direct-to-consumer brands show that starting online and transitioning to retail stores can help build strong brands and amazing customer experiences.